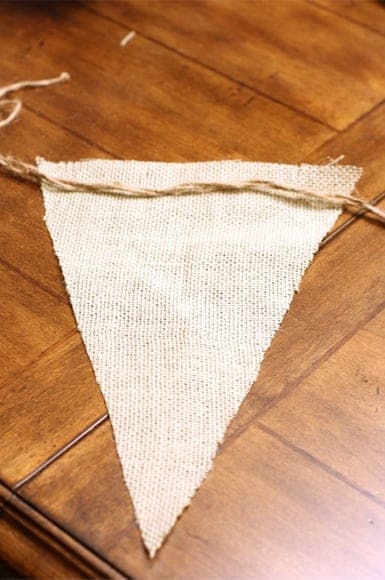 Burlap + bunting = true love for me. At least for me. Probably you, too. I love having natural looking items in my house. And I love bunting. so combining two of my favorite things only sounds, well, natural! I’ve seen so many different bunting versions – pennant, fabric, paper – none have ever let me down! 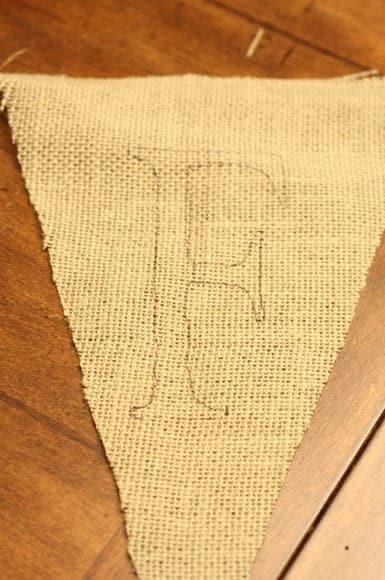 When I decided to do burlap banner, I was a little intimidated and wasn’t even sure if it would be very cute. But, these crafty hands did not let me down! 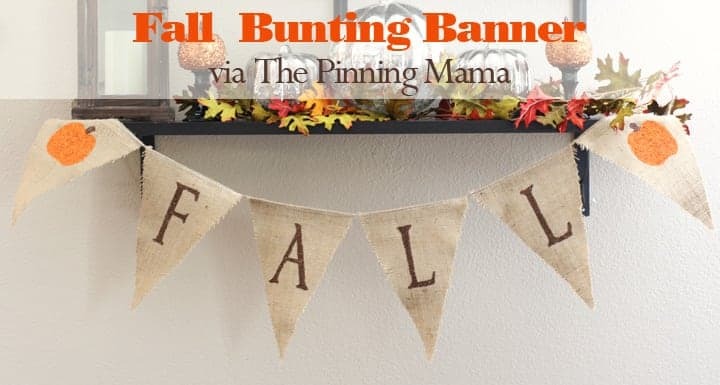 In the end, I made a Fall bunting banner that I can leave out all season. 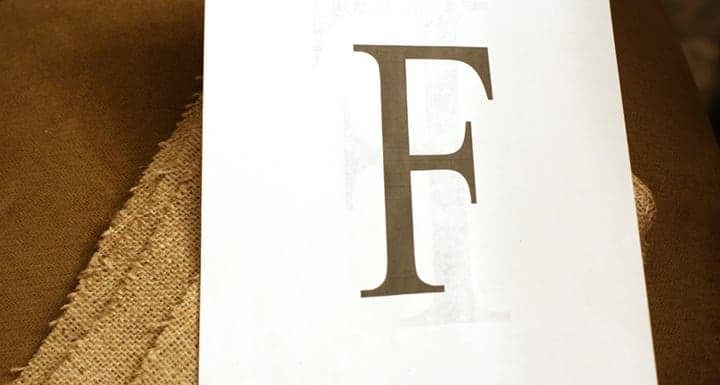 I went ahead and made one that says, “ho, ho, ho” for the Christmas season. What can I say, they just make me smile. 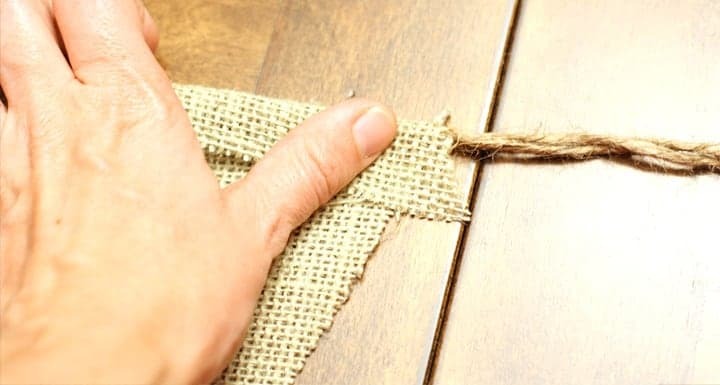 Below is the tutorial for these easy burlap banners! Enjoy! Once everything is traced, choose your paint and glitter and get ready for a little bit of messy. Let dry and hang it somewhere for all to see!